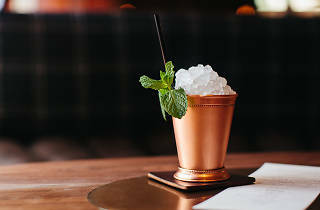 The best places to watch the 2018 Kentucky Derby in L.A.
Worldwide icon-chevron-right North America icon-chevron-right United States icon-chevron-right California icon-chevron-right Los Angeles icon-chevron-right The best places to watch the 2018 Kentucky Derby in L.A.
Another year, another two of the most thrilling minutes in sports. Sure, we may not be the capital of Southern charm, but Southern California still knows how to do Derby Day right. 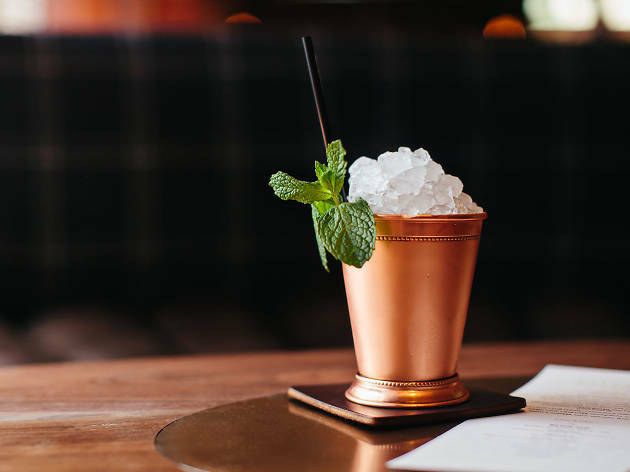 Between juleps, seersucker, viewings of the most famous horse race in the world and mountains of fried chicken and other bites, Kentucky Derby celebrations are not to be missed—that’s why we’ve compiled this handy guide to L.A.’s best Derby Day parties. Don’t forget to bring your hat. Baltaire’s bringing back its annual Derby Day viewing party in style—so much style, that you can even enter contests for best derby hat and best overall outfit. The main event will be streaming throughout the steakhouse, bar and lounge, and when it isn’t, you can sip juleps to DJ sets and enter raffles, whose ticket proceeds help benefit No Kid Hungry. When all that Kentucky bourbon’s got you feeling peckish, look for specials such as a Kentucky Hot Brown, an open-faced sandwich made with house-smoked turkey breast, roasted tomatoes, roasted garlic cream sauce, white cheddar and braised pork belly on brioche. Our own local racetrack is offering not one but two celebrations on the big day. Suds enthusiasts should opt for the Kentucky Derby Trackside Beer Festival, where each entry includes eight beer tastings, a $5 voucher for full-sized beer, a souvenir cup, entry to the clubhouse, as well as trackside and grandstand seating—where you’ll be for the live race simulcast. Hungry? There will also be food trucks on-site, for your stomach-padding pleasure. If you’re looking for something a bit classier, might we suggest the Derby Day Party in the chandelier room? It’s here you’ll find an elegant offering of derby-inspired fare, whiskey tastings, live music and the simulcast of the big race, all included in the price of entry. Don your best Derby Day attire, for best results. Redondo Beach’s Shade Hotel is home to one of South Bay’s biggest annual Derby Day parties, and this year—its fourth—will offer two floors of marina-adjacent partying and viewing. Expect a live band on one floor and a DJ on another, with on-theme food and beverage available for purchase—plus complimentary hors d’oeuvres, contests and prizes. Want to do it up, in case your horse wins big? Call ahead for bottle service.